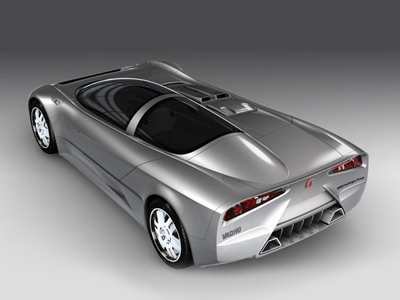 The Giugiaro Vadho concept which was revealed at the 2007 Geneva Motor Show is a V12 hydrogen fueled concept car which incorporates many advanced technologies. 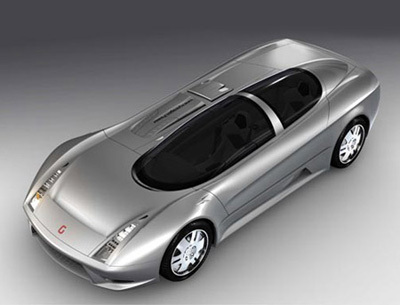 The Giugiaro Vadho concept is built on a one-off chassis, and is controled by two joysticks, not a steering wheel. Both the V12 hydrogen fueled internal combustion engine (positioned opposite the aircraft canopy style cockpit) and 7-speed SMG gearbox come from BMW. The prominent 'G' on the front of the concept is Giugiaro's new logo.